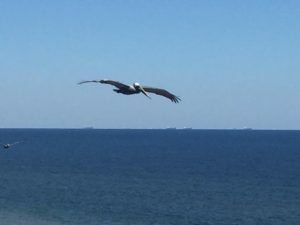 It was a Diamond Beach kind of day. 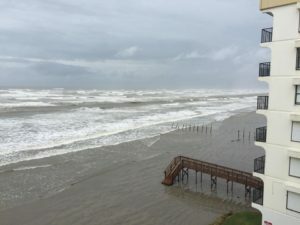 Just wrapped up a final showing at the Rivieras, and the Gulf is churned up and coming in. Time to hunker down. 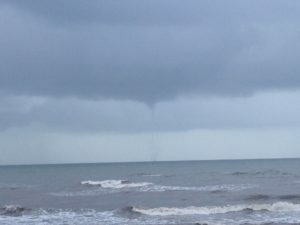 Saw this waterspout from the Seawall in Galveston, TX this morning. 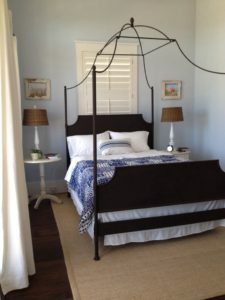 This simple, classic bedroom is the epitome of many coastal-themed homes found in luxurious Beachtown, Galveston's premiere east end, beachfront neighborhood. 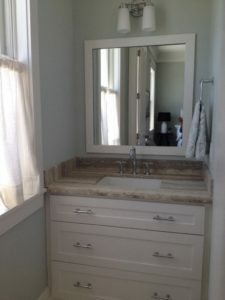 This beautiful stone countertop looks just like a piece of petrified driftwood, perfect in a luxury coastal home such as this one in Beachtown on Galveston's east end. 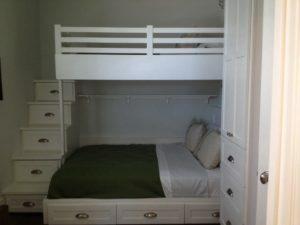 This is a great furnishing solution for a small bedroom that needs to sleep an extra person. And look at all those storage options! 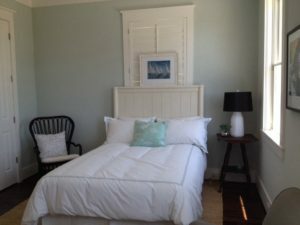 This wonderful room is found in a lovely home in Beachtown on Galveston Island. Wouldn't it be lovely to wake up in this relaxing bedroom? 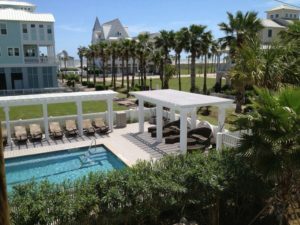 This beautiful home is located in Beachtown on Galveston's east end. It will be a great weekend to sit by the swimming pool in Beachtown.